Journey through the world of living willow, a perfect blend of art and nature at Warkworth Willow Works. Warkworth Willow Works, a teaching farm in Ontario, Canada. 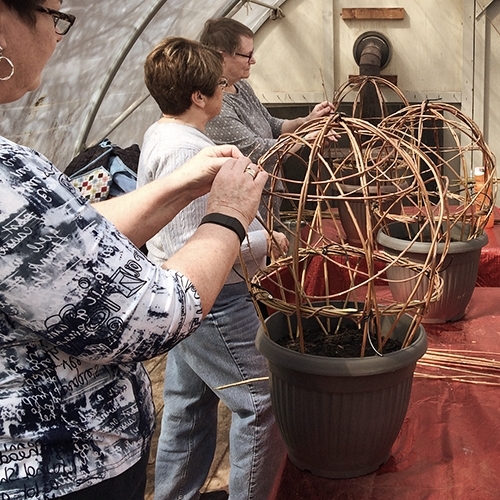 Spend the day learning the art of living willow by creating a willow tree or sphere. If you purchase a living willow structure kit we offer demonstration workshops free with a deluxe kit or available for purchase when you buy a basic kit. Spring is planting time for living willow. Choose from a range of kits for domes, tunnels, fedges (willow hedges), chicken runs and more. Basketry weaving workshops, handmade baskets, garden ornaments, bird feeders, and all things willow. Plant your own basketry willow garden with cuttings from our farm. Willows make fantastic privacy screens and wind breaks. 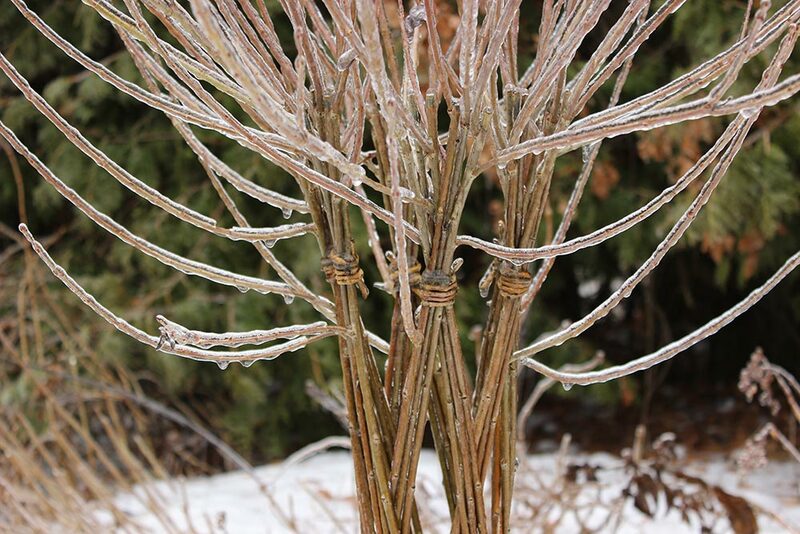 Do you have a great idea for your own living willow structure? Why not order willow rods and create a maze, arbor, arch, playground or whatever else you might imagine. Join us as we grow and discover the ever changing beauty of this magnificent, natural and sustainable art form.